Lindsay earned her Master’s Degree from UW-Milwaukee in Cello Pedagogy. She completed her undergraduate degree in Music from UWM studying performance under Stefan Kartman, and Cello Pedagogy under Scott Cook. Her first two years of undergraduate were completed at Carthage College where she studied under Herine Koschak of Fifth House Ensemble out of Chicago. She has also received Suzuki Certification through Cello Books One, Two, and Three from the Chicago Suzuki Institute from Barbara Wampner and has plans to continue pursuing several more certifications. She has performed in world premieres of works by Christopher Tin, “Calling All Dawns”, and “The Drop that Contained the Sea” from the Video Games Live Tour. 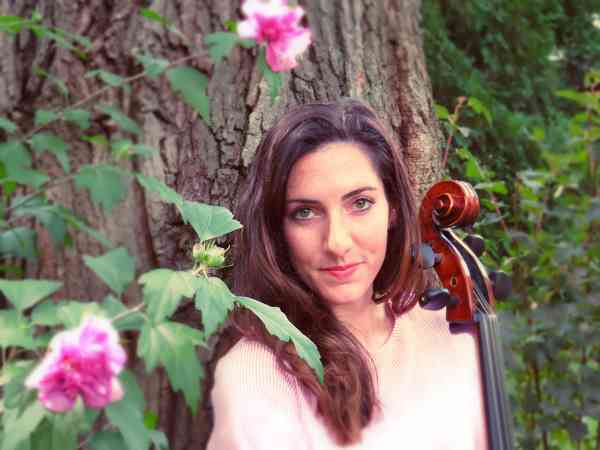 She has been a cellist in the Sheboygan Symphony Orchestra since 2012, has recently performed as Principal Cellist with the Milwaukee Philharmonic, Principal Cellist of the Menomonee Falls Symphony, as well as being an active chamber musician and has performed in several masterclasses, including those by Christopher Rex, Principle Cellist of the Atlanta Symphony Orchestra, Adrien Zitoun, MSO cellist, Boris Andrianov, Russian Cellist and professor of Moscow State Tchaikovsky Conservatory, and the Daedalus String Quartet. Lindsay worked with the String Academy of Wisconsin while earning her Master’s degree teaching and assisting in private lessons and group classes of all ages of cello players. She taught cello fundamental techniques to undergraduates at UWM in the spring 2016 semester. She was an interim cello teacher for the UWM String Academy for the 2016 summer session. She uses the Suzuki teaching methods as well as supplemental materials to create a firm technique base and to develop musicality and believes that students of all ages should be able to love learning to play the cello. My main passion is my private teaching studio with my dedicated students ranging from beginners to advanced, 4 years old to retirees. My Master’s Degree in Cello Pedagogy along with my Suzuki Cello Certifications have given me the tools to help instruct all of my students, helping me to adapt to each students’ specific learning needs. My main studio is located in Hartland, WI at the Waukesha Conservatory of Music. ​I teach a wide variety of students and levels. My previous teaching experience includes private instructor for students ranging in ages from 3-60’s and beyond with levels from beginner to early advanced.